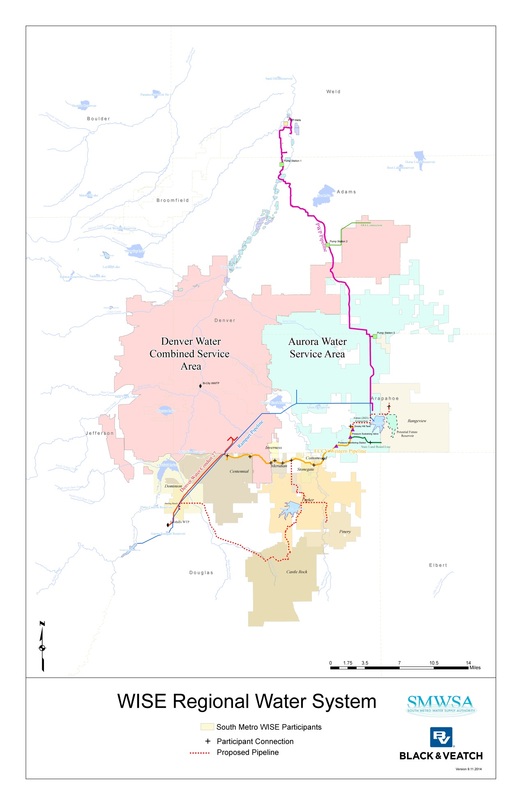 A new long-term plan by the South Metro Water Supply Authority, which serves 13 water providers in the greater Denver-Aurora area, avoids any mention of taking water from the Arkansas River basin. That’s significant, because the group’s 2007 master plan included two possible pipeline routes from the Arkansas River basin as a way of filling future water supply needs. Located in some of the fastest-growing areas of Colorado, South Metro’s population increased to 325,000 in 2016 from 250,000 in 2005. South Metro communities were built on water from the Denver Basin aquifer, but began shifting their focus to finding new renewable supplies, conservation and increasing efficiency as ways to stretch their supplies. With Pure Cycle’s sale of its Fort Lyon Canal water rights last year, no South Metro member has any projects planned in the Arkansas Valley. Pure Cycle is connected to the emerging Rangeview district east of Aurora. Annual demand for South Metro is expected to more than double to 120,000 acre-feet (39 billion gallons) by 2065. Increased storage, expanded use of the WISE agreement with Denver and Aurora and continuing conservation efforts are expected to fill 38,400 acre-feet in the next 50 years. The WISE agreement allows South Metro areas to reuse return flows from the Denver area through Aurora’s Prairie Waters Project. Reuter-Hess Reservoir and the East Cherry Creek Valley pipeline have opened new ways to use water. Per capita use in the South Metro area has decreased 30 percent since 2000. Another 30,000 acre-feet annually of new supplies still are needed by 2065, according to the revised master plan released Tuesday. About two-thirds of that supply is identified in existing projects, but the plan proposes finding the remainder through cooperative agreements with other users in the South Platte and through the Colorado River Cooperative Agreement, Hecox said. Finally, individual members of the South Metro group are developing innovative solutions. For instance, Sterling Ranch is harvesting rainwater and incorporating conservation into land-use design. Other communities have initiated landscape regulations and some are even paying property owners to remove turf or plants that use excessive amounts of water. Some rate structures have been changed to promote conservation. The new plan fits in with Colorado’s Water Plan, which seeks collaborative solutions rather than buying agricultural water rights and drying up farmland.